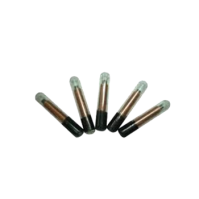 Medical Use RFID Tags | GAO RFID Inc.
GAO RFID offers a range of RFID tags that are designed for medical use. Our HF tags work well for tracking tissue samples, blood, and other critical fluids. For situations where you require long reading ranges to track expensive medical devices and inventory, our UHF tags are the optimal choice. Integrating our multitude of RFID tags into your medical environment will enable automated processes that end up saving your organization costs on labour and reducing the chance of human error. GAO RFID provides a collection of RFID Tags for Medical use with different protocols that are designed to enable more effective and accurate patient care. The tags for medical use are available at a variety of frequencies that include 125 kHz, 134 kHz, and UHF 860-960 MHz frequencies. Some of these tags for medical use are compliant with the Restriction of Hazardous Substances (RoHS) directive and support various protocols such as ISO 11784, ISO 11785, EM4102, EPC and ISO 18000-6C. 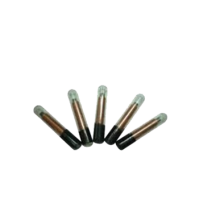 Our RFID tags for medical use are designed to fulfill various purposes for that include tracking tissue samples, blood, and other critical fluids as well as tracking expensive medical devices and inventory. 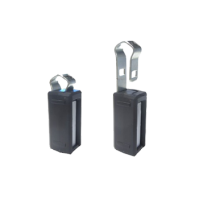 The RFID tags for medical use have a memory capacity that can vary from one device to another including options such as 2 EPC 96 bits (Extensible to 512 bits), user 512 bits, TID 64 bits, CRC 32 bits and 256 bits R/W. 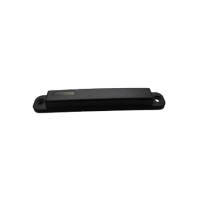 Furthermore tags of this kind meet different Ingress Protection ratings such as IP67 and IP68 protection standards by which they have no ingress of dust; complete protection against contact and are also water immersion resistant. We offer different options of RFID tags for medical use that are available in different form factors and materials. Most are built with durable, resistant materials, which are customized to meet different needs; some of the materials include BIO Glass 8625 and Glass fiber PCB FR4. The RFID tags for medical use are suitable for multiple purposes in the healthcare industry. 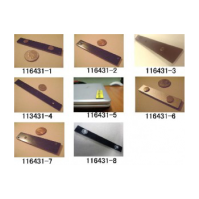 These tags can be used for many different applications such as specimen identification, supplies identification, logistics, patient tracking, and medical equipment management. 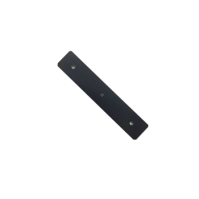 Please see our full selection of medical use RFID tags below. 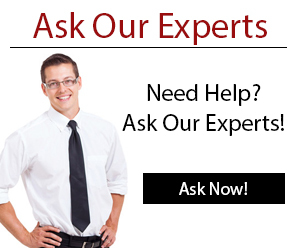 Our team of Experts can help you find that tags you need for your tracking application. 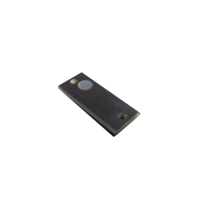 This passive UHF RFID mount-on metal tag is compliant with EPC global Class 1 Gen 2 and provides reliable performance on metal applications.